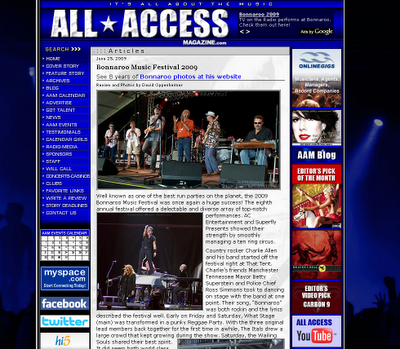 This was my first assignment working with All Access Magazine. I was also working directly with a half dozen bands at Bonnaroo so there was no shortage of excitement. The 2009 Bonnaroo Music Festival was an incredible success. and lots more 2009 Bonnaroo photos with streaming audio will be up at Performance Impressions. Live music photography galleries and services.